I am so happy that Spring is finally here! After days of cold to warm to cold; the sun is shining and the temperatures are hitting 70! Yellow always reminds me of Spring, the color is instantly boosts my mood. I purchased this shirt during my family's vacation to Anguilla at the Viceroy's amazing boutique! 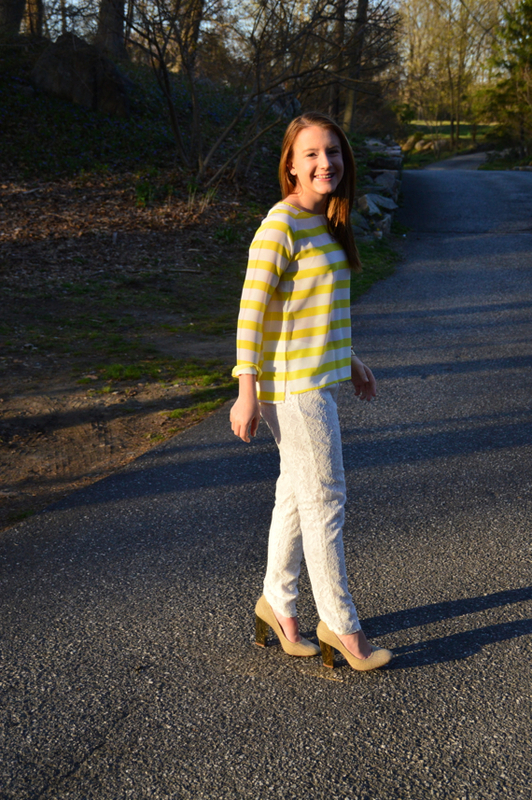 I paired the blouse with white, lace pants from Joie that I found at their Meatpacking store. I highly suggest stopping by there- everyone there is super sweet and the boutique is chic! 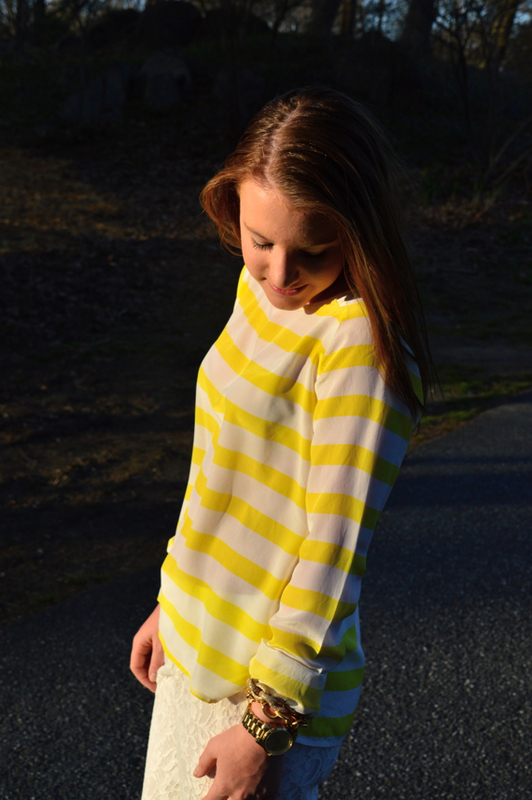 Do you like to wear yellow during the Spring? Hope you are having a great week! so jealous you can wear yellow! and i love those pants!